Since 1975 Krokus has been synonymous with hard rock and heavy metal across the globe, especially in their native Switzerland. So it’s no wonder that their newest album, Hoodoo, debuted #1 in their homeland with rave reviews from fellow rockers like Lemmy, Alice Cooper, Gene Simmons, and Ozzy Osbourne. 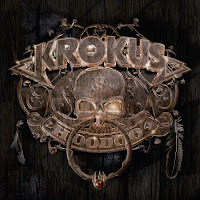 For more info on Krokus, check out the band’s website.